Huang Xiaoming (黄晓明) may be a seasoned actor, but he hasn’t always been free from controversy. 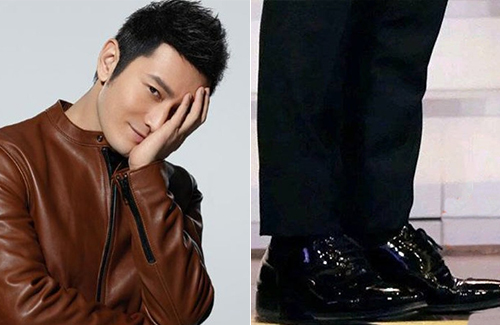 When the Hong Kong media outlet Oriental Daily News reported that the 41-year-old often wears shoe lifts, the Nirvana in Fire II <琅琊榜之风起长林> actor quickly clarified the reason with a social media post for rumor control. The injury that the actor was referring to happened while he was shooting 2014’s The White Haired Witch of Lunar Kingdom <白发魔女传之明月天国>, in which he fractured several bones in his left foot. He received metal implants.